Patients report an increased partnership with their physicians in making medical decisions, new research shows. The pattern represents a departure the previous pattern of all-knowing doctor and dutiful patient. Shared decision-making between patients and their clinicians increased 14 percent from 2002 to 2014, according to the study, done by Northwestern Medicine and Harvard University. 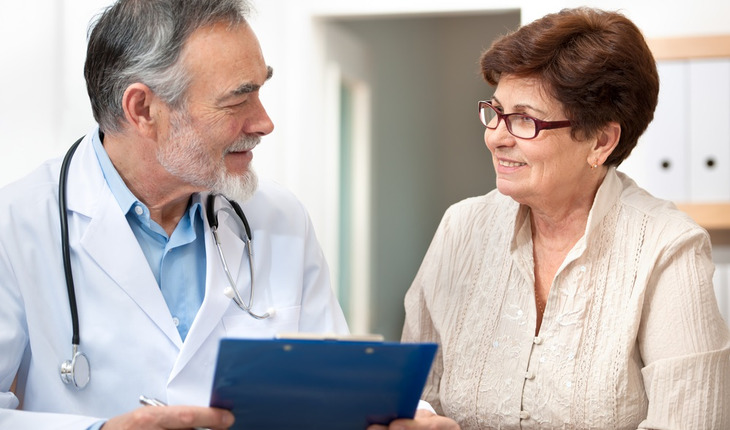 The results showed that patients generally felt their physicians more usually asked them to help make medical decisions; listened carefully to them; explained things in an easily understandable way; showed respect for what the patient had to say; and spent enough time with them. The study, published in the Annals of Family Medicine, is an analysis of a nationally representative survey of Americans. It involved about 10,000 people per year from 2002 to 2014. “There has been increased attention among clinicians and health systems to involve patients in decision-making,” said co-lead author Dr. Jeffrey Linder, chief of general internal medicine and geriatrics at Northwestern University Feinberg School of Medicine and a Northwestern Medicine internist. “Patients who have engaged in shared decision-making understand their condition and options better. They feel less uncertain about a chosen course of action.” Additionally, they may decide not to use treatments or interventions that have little or no benefit, he said. But although there has been a significant increase in shared decision-making, there is still much room for improvement, the authors said. The research showed that more than 30 percent of Americans felt their clinician did not always listen to them, and more than 40 percent felt their clinician did not always spend enough time with them. The study also highlighted a few areas where shared decision-making is lacking. Shared decision-making scores were lower for patients in poor health and for patients who were of a different race/ethnicity than their clinician. Focusing on patients with poor health or of a different race/ethnicity than the doctor or clinician could increase shared decision-making in these groups.